Woodford is a small town in the middle level of the Blue Mountains, NSW, Australia. It is located approximately 90 kilometres west of Sydney and has an elevation of 609 metres above sea level, giving it mild and temperate climate. 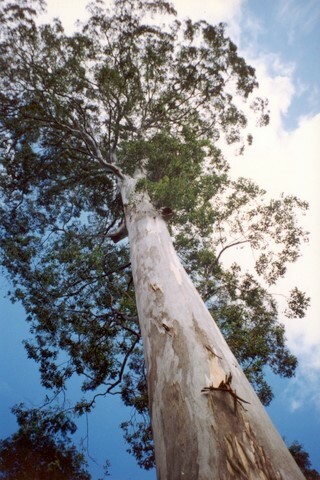 Woodford is located within the Blue Mountains National Park. Woodford Academy was previously a day school and a boarding school. It is the oldest intact building in the Blue Mountains. It is a National Trust property which is open for visits by the general public one Saturday every month. The current building was erected in 1902 and features beautiful platform gardens. Until late 2011 Woodword had its own post office. It featured a unique and idiosyncratic interior decoration scheme (see the Woodford Post Office video further down this page). Unfortunately this post office was then "redeveloped" into a bland Australia Post shop and finally it was closed down completely. 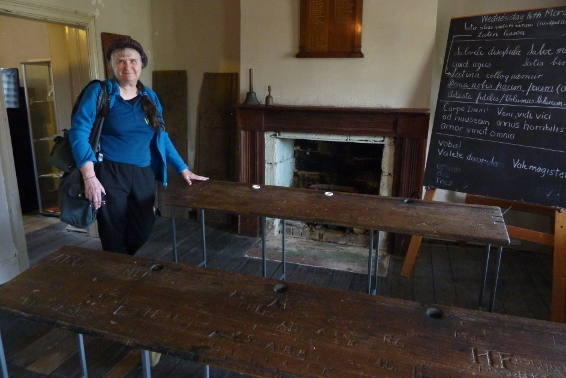 Inside the old classroom at the Woodford Academy. It has been left much as it was in the period 1890-1920, with long student benches (with inkwells and carved with the initials of past students), a blackboard with a Latin lesson written there, a fireplace for Woodford's cold winters, two school bells, and an honour roll of former students who served in the Great War (1914-18). There are a number of splendid bushwalks within easy reach from Woodford, including the Oaks and St Helena tracks. Every June or July, the Woodford to Glenbrook Classic, a cycling/running race sets out from Woodford Railway Station. This event raises money for Careflight International.